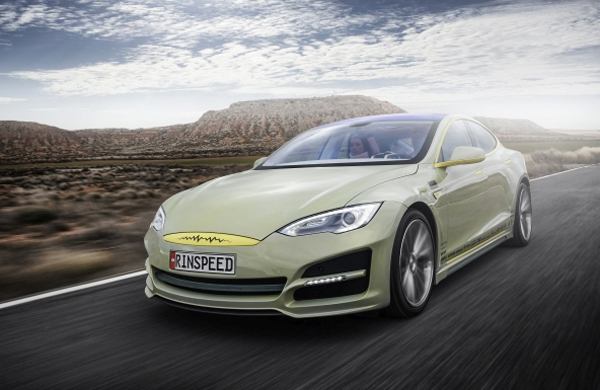 Rinspeed, ahead of the Geneva Motor Show, takes a Model S and dresses it up to answer the question of what you’ll do in the car as robots drive you around. 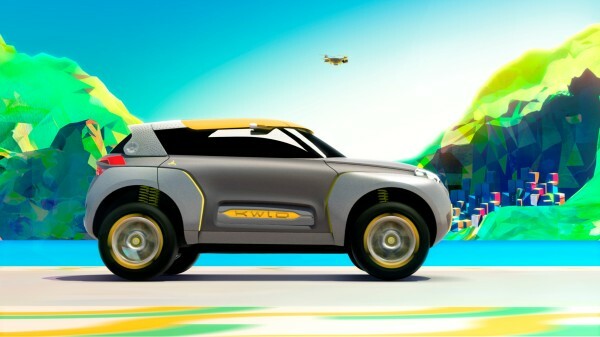 The new Kwid Concept, besides looking like a fun-driving vehicle, also comes with a rather unique, semi-robotic flying helping hand. 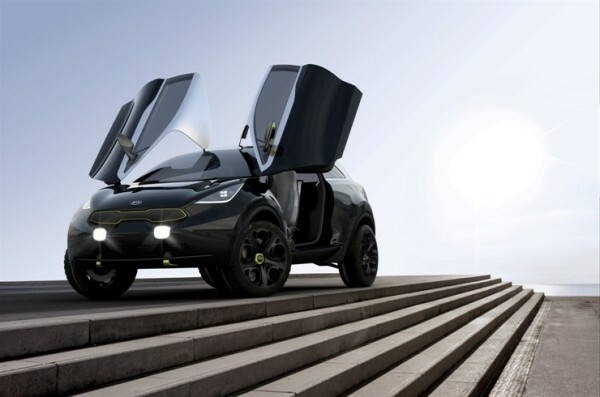 Kia Motors debuts in the United States a new hybrid concept envisioned as an urban offering also equipped with four wheel drive. Nacelle apartment with sea views. No wind turbine syndrome sufferers allowed. Priority to the technically inclined. Available in the far distant future – maybe. 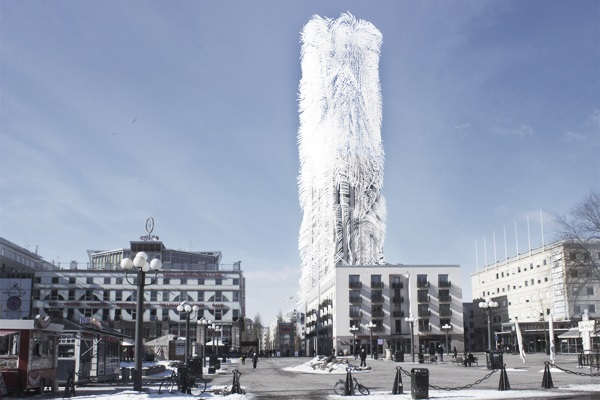 The “Strawscaper” by Belatchew Arkitekter in Stockholm would use piezoelectric technology to turn the movement of air into electricity. 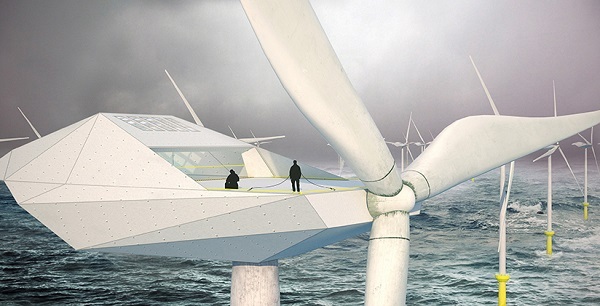 Wind Power Video: Look, Ma, No Blades! A fresh video shows how using the wind to move electrically charged particles could be an energy producer, with no bird-battering blades. How would you like your car to come pick you up, then drop you off at your destination? Hitachi is developing such a vehicle with its ROPITS prototype.